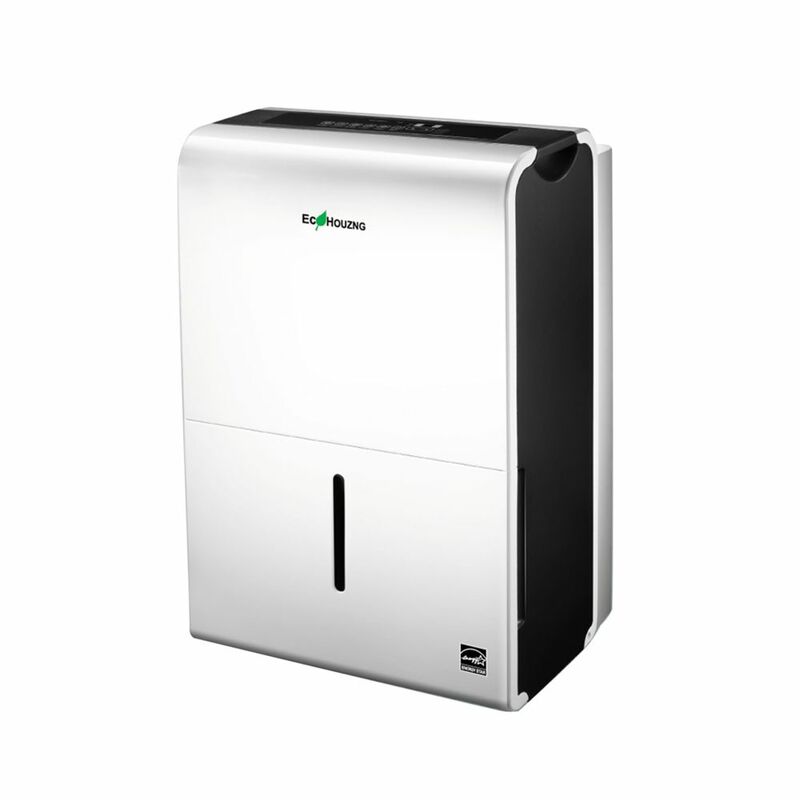 Ecohouzng ECH1170L Dehumidifier is a new line of Energy Star rated portable dehumidifier. Light weight and heavy duty casters allow their ultra portable dehumidifier to be moved and placed almost anywhere. Keeping with their tradition of making energy efficient product. In addition to portablility and energy efficiency they've added the low temperature operation to their feature packed dehumidifier line. Automatically control room humidity in a comfortable range 45%~55% according to room temperature, inhibit bacterial growth. Feel good about your garage with Cyclone Garage Exhaust Fan. Your family will be protected from noxious chemicals and damp musty air all year round. Carbon monoxide from the car exhaust will never build up in your home or garage. A revolutionary way to maintain the quality of your air right where it is needed most. Breathe fresh crisp & clean circulated air even in the garage! Imagine you could breathe fresh air all day while at the same time staying nice and warm, without unpleasant drafts or open windows. The Cyclone DIY air exchanger designed to continuously remove stale air from any space while simultaneously bringing in fresh air from outside. Cyclone DIY air exchanger is a simple and efficient air recovery ventilator perfect for large rooms, such as lofts, condos or smaller commercial spaces. Matches any style office or home and saves lots of energy. Easy to install & plug in, simply drill two 5" diameter holes through an exterior wall connect the damper to the unit and plug in. Any handy person can install this unit. No professionals required. Get an HRV for an individual room without the cost and hassle of redoing your entire furnace. Save money and target only the rooms that need it most. Cyclone, breath better, live better. 70 Pints Dehumidifier Ecohouzng ECH1170L Dehumidifier is a new line of Energy Star rated portable dehumidifier. Light weight and heavy duty casters allow their ultra portable dehumidifier to be moved and placed almost anywhere. Keeping with their tradition of making energy efficient product. In addition to portablility and energy efficiency they've added the low temperature operation to their feature packed dehumidifier line.